Welcome to our library of articles! These are articles about all aspects of the home buying, selling, and owning process -- written by our agents and local professionals including lawyers, mortgage brokers, appraisers, contractors, home inspectors, and other real estate-related professionals. You can filter articles by subject matter and by type using the left navigation bar. When it comes time for your home inspection, stay a step ahead and know the areas the inspector will cover on his walk through! Here are some things to look out for when getting an inspection done. 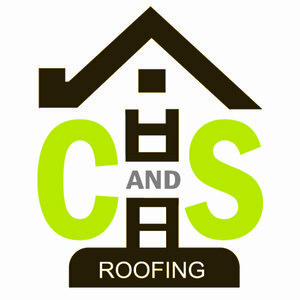 We interview C and S Roofing about their long experience with roofing and the various materials available for installation. We interview Husong Roofing about their exceptional roofing service and things to keep in mind throughout this process on your home. We interview Turner Roofing of Tulsa, Oklahoma to discuss the dangers of ignoring a damaged roof and the ways to find the right contractor. Why Buy, When You Can Rent? Not everyone is gung-ho about buying a home. Are you trying to decide if renting is right for you? Here are some benefits for renting and a little bit of how it works! How Much Will My Mortgage Really Cost? The true cost of buying a home in Oklahoma may be much higher than you expected. Inside, we highlight the costs associated with acquiring financing for your dream home -- Are you prepared to pay the full cost of a mortgage? OklahomaHomes.com looks at some safety measures you can take to minimize damage to your home in the event of a tornado. If you're thinking about selling your home, now is the time to get it listed. Read on for three compelling reasons why. Your question will be answered by our community of experts. You can select which type(s) of expert to send your question to, or you can send it to them all! As an expert you gain automatic notification of customer inquiries, additional company exposure, increased credibility, and access to our customers through discussion boards and article comments. Learn more about being an expert contributor.